Print our answer sheets (aka ‘scantrons’) on your laser printer, pre-filled with your students’ name and a system-assigned ID. Scan answer sheets using a regular document scanner and save as TIF or PDF. 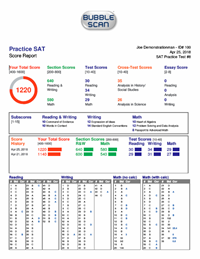 Upload TIF/PDF images to your OnlineScoreTracker.com account for online OMR processing and immediate grading. Another way tutoring companies can save time is through our ONLINE answer sheets. Great for remote tutoring, homework assignments or for ‘extra’ tests: Students fill out online answer sheets through any browser. They can even type in an essay. And for a more life-like experience, you can lock online answer sheets after a preset time expires. As soon as student responses are submitted (either by you after processing paper & pencil tests or by the student using the online answer sheet) our system generates beautiful reports. You can print and distribute them or let students view them through their personal student account. All student reports feature your logo. An optional feature allows each question to be mapped to a custom reporting category which is then displayed as additional information on each report. Aside from providing great-looking reports, our solution allows you to add a certain ‘high tech’ image to your tutoring business. 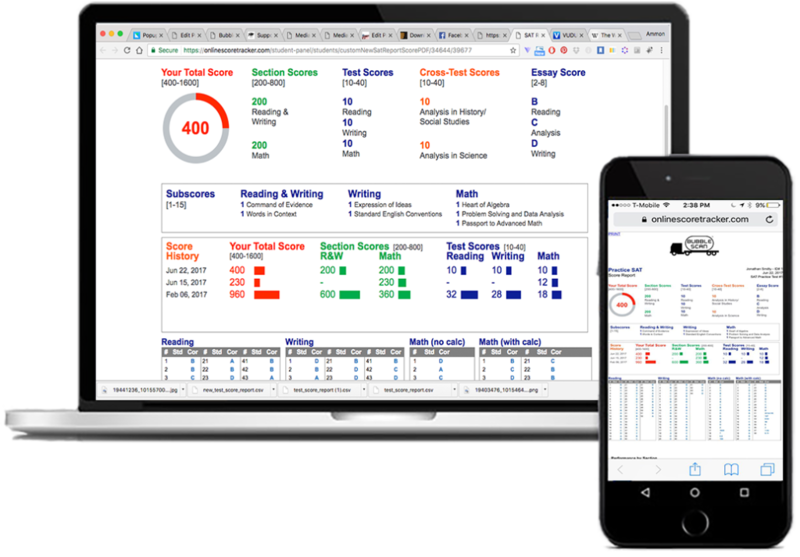 Each student can have a personal account where they can view all their test scores, read messages you or your staff have left for them (including attachments), and fill out online answer sheets for immediate grading of tests you’ve assigned to them. Students access their account through a web browser from any computer or mobile device. Access to our OnlineScoreTracker.com portal can be via a custom link provided by you, a login panel hosted on your web site, or can be as simple as clicking a link on your website and bypassing our sign-in panel if students have already been authenticated through your own site. Our grading service is as little as $1.00 per test. Click here to read more about our pricing. 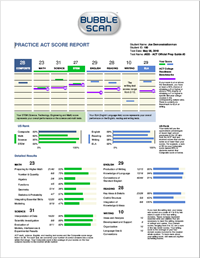 The heart of our grading service is your free OnlineScoreTracker.com account. Here you manage student profiles, setup classes, print answer sheets, grade scanned paper & pencil tests, assign ‘Online Tests’, etc. Watch this short introductory video to see how to grade paper & pencil tests. Remember: We don't provide the actual tests. We just grade them. 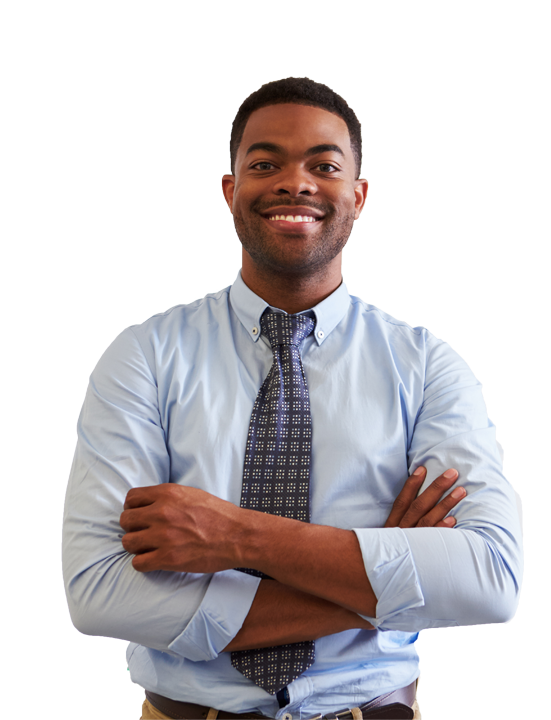 For each of these test types we provide answer keys for a number of popular, publicly available practice tests, including retired tests, official practice tests, and tests from readily available test prep books from various vendors. If we don’t have a key for a test you want to grade, you can easily add it yourself, or simply contact us with the details and we’ll add it for you. In addition, we also support a ‘generic’ test type and a Combo (ACT/SAT). If you have additional requirements, please let us know. We gladly provide you a quote for adding a custom test types to our system. We provide two types of reports: BASIC and DETAILED. 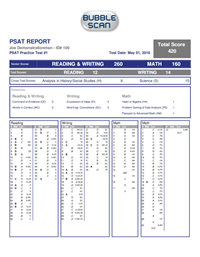 A BASIC report is available for all graded tests. A DETAILED report adds a Test Question Analysis to the BASIC report. It requires that every question be mapped to a custom category. 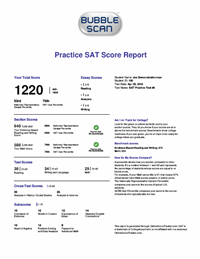 We have created a custom category list for ACT and SAT/PSAT and mapped several tests to those categories. As a user of our system you are welcome to create your own list of custom categories and use them to map answer keys. 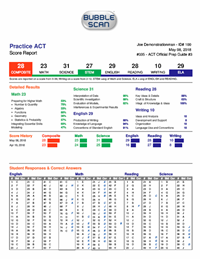 Click here to view samples of our Test Question Analysis for ACT. Click here to view samples of our Test Question Analysis for SAT. Below are examples of the reports we provide. Click on any of the images to view the expanded sample. Services are paid through credits. Credits are purchased from within your OnlineScoreTracker.com account. A month starts from the day that you the grade the first test for your student (e.g. begin: Jan 13th, end: Feb 12th). When you grade the first test, we will charge 1 credit. When you grade a second test for that student in that month we will charge a 2nd credit. Grading any additional tests for that student for that month will not incur any additional charges. Have certain seasons that are slower than others? No problem. Credits are good for a full year. If you haven’t created your free account (which comes with 5 credits to start you off with) click here to sign up now.